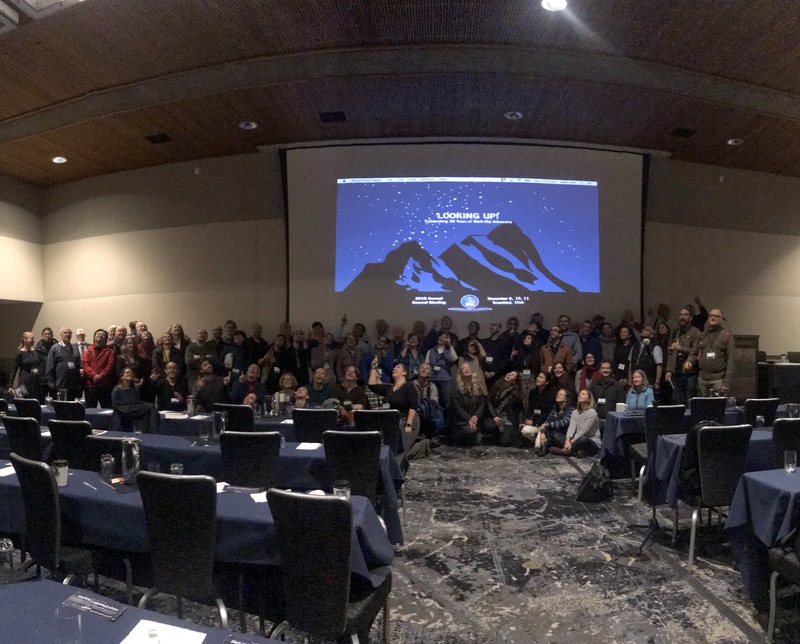 The 2018 Annual General Meeting in Snowbird, Utah, brought together more than 170 dark sky enthusiasts from around the world to celebrate 30 years of night sky advocacy, network with other dark sky defenders, and learn more about the international movement to protect and preserve the natural nighttime environment. We extend a special thanks to the partner organizations around the world who celebrated our 30th year with us from afar. At the AGM, we shared congratulatory videos from fellow organizations including the British Astronomical Society’s Commission for Dark Skies, the Appalachian Mountain Club, National Audubon Society, Sierra Club, American Rivers, the National Park Service, and the National Wildlife Federation. All of these organizations share a commitment to the protection of the natural nighttime environment, and IDA is pleased to have their support. We are also grateful to our Brand Partners, and individual Cornerstone Supporters who contributed to the financial success of the AGM. Friday’s opening panel showcased our host state, Utah, and the combined efforts of state leaders to promote and steward dark skies. Thanks to the panelists (Justina Parsons-Bernstein and Wendy Wilson from Utah State Parks, Aubrey Larsen from the Utah Community Development Office, Zachary Schierl from the National Park Service, Emily Moench from the Utah Office of Tourism, Stephen Goldsmith from the Consortium for Dark Sky Studies, and Cooper Farr from Tracy Aviary), the state of Utah has more IDA International Dark Sky Place designations than any other state or country, and has experienced a boon in astro-tourism over the past few years. Friday afternoon welcomed a series of interactive workshops, where conference attendees were invited to participate in hands-on activities such as the National Optical Astronomy Observation’s Quality Light Teaching Kit with Connie Walker, or work with Megan Bonham from Northwestern University on designing meaningful nighttime public programming. Saturday kicked off with an engaging session lead by Joan Marie Galat, author of Dark Matters, a children’s book about light pollution. Galat shared how the use of stories helps us communicate meaning in our work. Then Michael Marlin presented his ideas for capturing the imagination of the next generation, including a starry night video game prototype! It was standing room only for a Saturday morning breakout session with IDA’s “tech guys” John Barentine and Pete Strasser, who presented Lighting 101 with information about basic lighting technical concepts, as well as an introduction to IDA’s new Community-Friendly Outdoor Sports Lighting program. Before the Keynote address by Paul Bogard on Saturday afternoon, we took a moment to honor Scott Feierabend, IDA’s Executive Director, who is retiring this year. His dedication, warm personality and hard work in building IDA into the organization it is today was recognized and appreciated. Next, Scott Feierabend and Board President, Ken Kattner, presented the 2018 Award Recipients. On Saturday evening, representatives from the University of Utah Astronomy Outreach team, the “AstranamUrs” lead a star party at the venue. Despite the frigid temperatures, participants enjoyed the beautiful night skies on display in Snowbird. 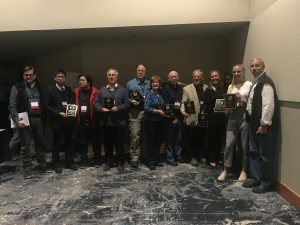 Throughout the meeting, poster presentations were intermittently offered to give attendees a taste of successful efforts to protect and preserve dark skies throughout the world in small groups. Presentations ranged from reports on how dark skies impact local economic development to how light pollution was reduced by 7% in Tucson, Arizona! Many of the sessions from the meeting were recorded, and have been posted to IDA’s YouTube Channel. View the 2018 AGM Playlist here. It was a great year and a great meeting. Stay tuned for information about IDA’s 31st Annual General Meeting! We hope you’ll join us.